The purpose of this study was the development of a method to evaluate the edge design of commercially available soft contact lenses, analysis and classification of lens edge designs and evaluation of their effects on fitting properties. By use of an optimized cutting technique, the edge profiles of 27 commercially available disposable contact lenses (hydrogel and silicone hydrogel lenses) produced by 10 different manufacturers were analyzed regarding their different edge designs. Two lenses per brand were cut into quadrants and organized into categories. Out of those, the four most common edge designs were tested in vivo regarding their fitting and wearing properties. For that, special test lenses that differed only in their edge design were manufactured and evaluated in a double-blind prospective study. Objective measurements and subjective questionnaires were carried out with 19 subjects (63% female and 37% male with a mean age of 26.3 years [range 20 – 40 yrs]). With the cutting technique, reproducible cross-section profiles of soft contact lenses were created (maximum error ±2 μm). Four most common edge shapes of disposable soft contact lenses were found. Three main groups were classified: 1) a round and centric apex, 2) a one-sided profile with pointed apex on the back surface (‘knifepoint’), 3) two-sided profiles with pointed apex that differ in the position of the long side a) on front or b) back surface (‘chisel’). The results of ten assessment criteria used in the wearing study (evaluated at a confidence interval of 95%; p<0.05) show: two-sided edge designs have the highest ratings regarding the grading scales. Compared to that an edge design with round apex is also physiologically uncritical and shows good fitting characteristics. However a slight decrease in initial comfort (p=0.006) was determined. In terms of objective evaluation, the lenses with one-sided profile and a pointed apex fit about half a degree tighter (p=0.026). The movement of the contact lens on the eye is less noticeable for the test person. After six hours of wearing time, a significantly more intense arched staining in the conjunctiva was found (Wilcoxon-test p<0.01). In summary, commercially available disposable contact lenses can be assigned into four characteristic edge design groups. The fitting behavior and comfort of the lens is influenced by the edge design (depending on lens material and thickness). Two-sided profiles and round edges should be given preference particularly if lenses with higher modulus are used. This is because edge designs with a pointed apex on the back surface can cause less movement and influence the conjunctiva. They have a considerably greater influence on the physiology of the conjunctiva (arched staining), also known as conjunctival epithelial flaps. *with permission of Die Kontaktlinse; article in German. 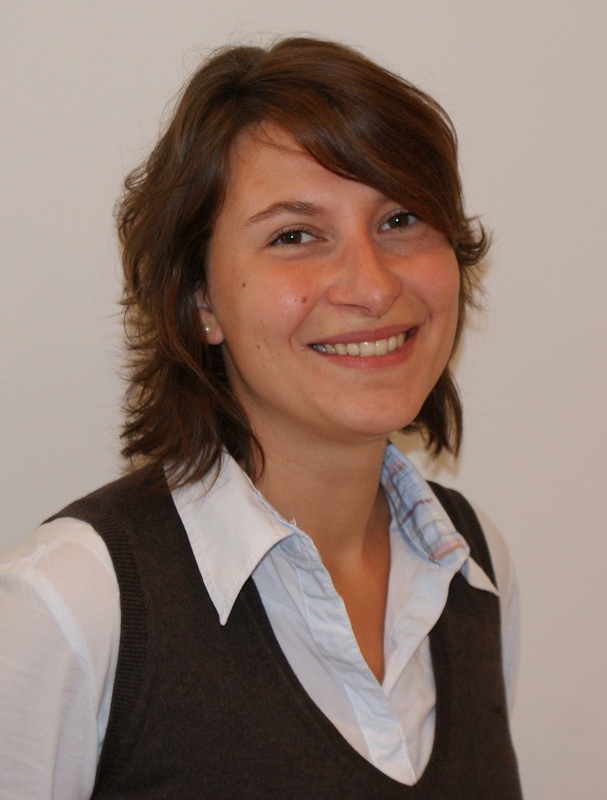 Teresa Hübner graduated from the University of Applied Sciences, Jena (Germany) in 2008 and presented her thesis about the effect of contact lens edge design on the fitting characteristics of commercially available disposable contact lenses at the BCLA 2009. After graduation, she worked in Professional Services at Wöhlk- Contact-Linsen GmbH, Schönkirchen (Germany) for two years. Since 2010 she has been working as a lecturer in contact lens studies at the Fielmann Akademie Schloss Plön (Germany).